With our connected network of camera crews and videographers set up all over the country, VideoProductionCompany.net is a full service multi-media video production company that produces, shoots, edits, and uploads video content, distributed on multiple platforms including TV, Internet, and Mobile Devices. We cover large corporate projects, special events, documentaries, live sports, real estate and much more. We are your one stop shop for high quality video production, editing and delivering. >>> Contact Us for a Free Quote. Designed as a camera that is perfect for reality TV, commercials, and corporate applications, the Sony XDCam PXW FS7 is a great addition to any camera tool box. The 4K camera is perfect for renters who want to use drones or mounts with the Sony PXW FS7. The magnesium body is lighter and stronger than aluminum, only weighing four pounds which makes it easy to transport and maneuver. Another great option is asking our videography team for assistance which can unlock the full potential of the Sony PXW FS7 and allowing you to have one less task to worry about while filming. 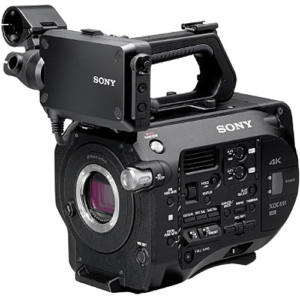 If the Sony XDCam PXW FS7 sounds like a camera you need or want to rent or have the help of our videographers, contact our offices today to get a quote.